Today is the day the museum comes to life one last time! 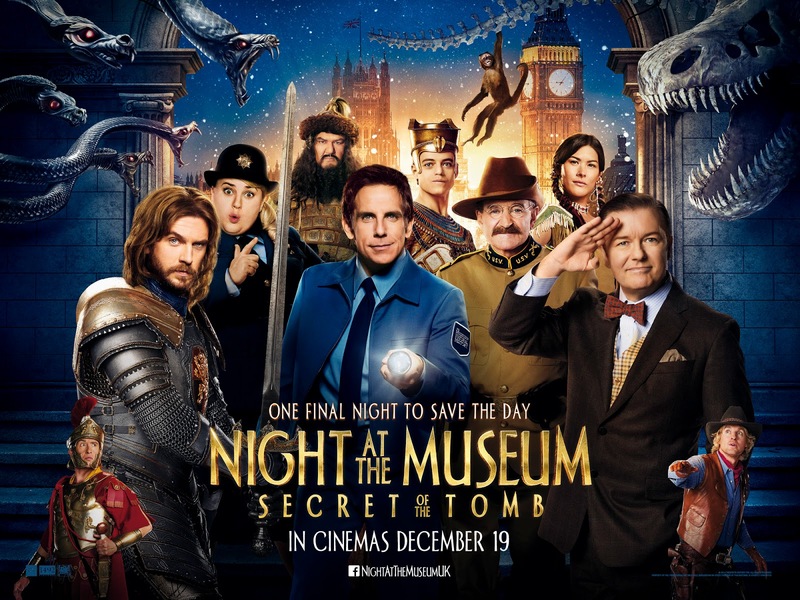 Starring Ben Stiller, Robin Williams, Owen Wilson, Rebel Wilson, Sir Ben Kingsley, Dan Stevens, Ricky Gervais, Steve Coogan, the magical NIGHT AT THE MUSEUM: SECRET OF THE TOMB is in cinemas TODAY! Get ready for the wildest and most adventure-filled Night At the Museum ever as Larry (Ben Stiller) leaves New York City for London, uniting favourite and new characters while embarking on an epic quest to save the magic before it is gone forever.